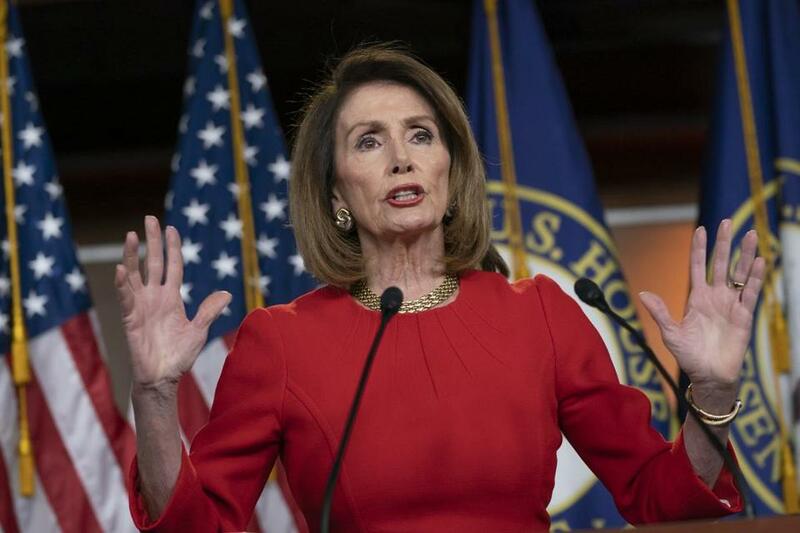 US House Speaker Nancy Pelosi will be honored in recognition of her efforts to pass the Affordable Care Act and restore Democrats’ majority in the US House of Representatives during the 2018 elections, officials said Sunday. “She is the most important woman in American political history and is a true Profile in Courage,” said Kennedy, daughter of the 35th president and former US ambassador to Japan. The John F. Kennedy Library Foundation established the award in 1989 to honor the former president’s commitment and contribution to public service and celebrate his birthday on May 29. The foundation is a nonprofit that supports the presidential library and museum. The honor is named for President Kennedy’s book, “Profiles in Courage,” in which he recounted patriotic and unselfish acts made by eight US senators in the face of adversity. The book received the Pulitzer Prize in 1957. Caroline Kennedy and her son, Jack Schlossberg, plan to present Pelosi with the award. Schlossberg said in a statement that Pelosi governs responsibly. “She sets a powerful example for a new generation of public servants, proving that politics can still be a noble profession,” he said. Previous recipients of the award include former president Barack Obama, former US representative Gabrielle Giffords, and US Representative John Lewis.